The Muuto Fiber Chair, designed by Iskos-Berlin, is a chair made of innovative shells material, of recyclable plastic and wooden fiber. 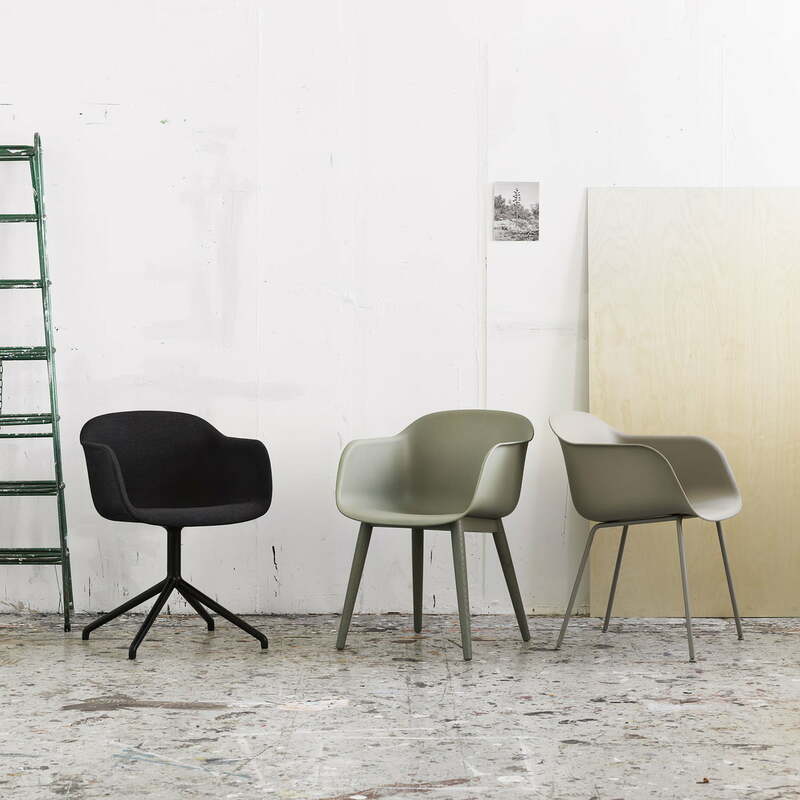 While the material of the Fiber Chair Swivel Base from Muuto is completely new, the silhouette reminds us of a classic piece: the Eames Plastic Armchair. 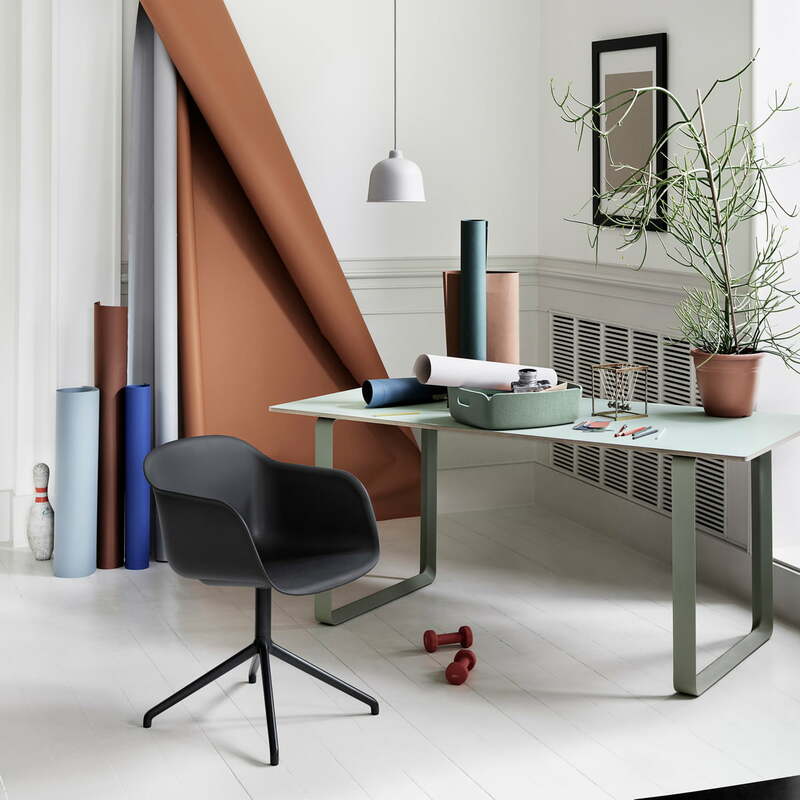 The design of the chair with swivel base didn't come by chance, since the Muuto Fiber Chair adapted each line and each detail to maximal comfort in few space as well as its design model. 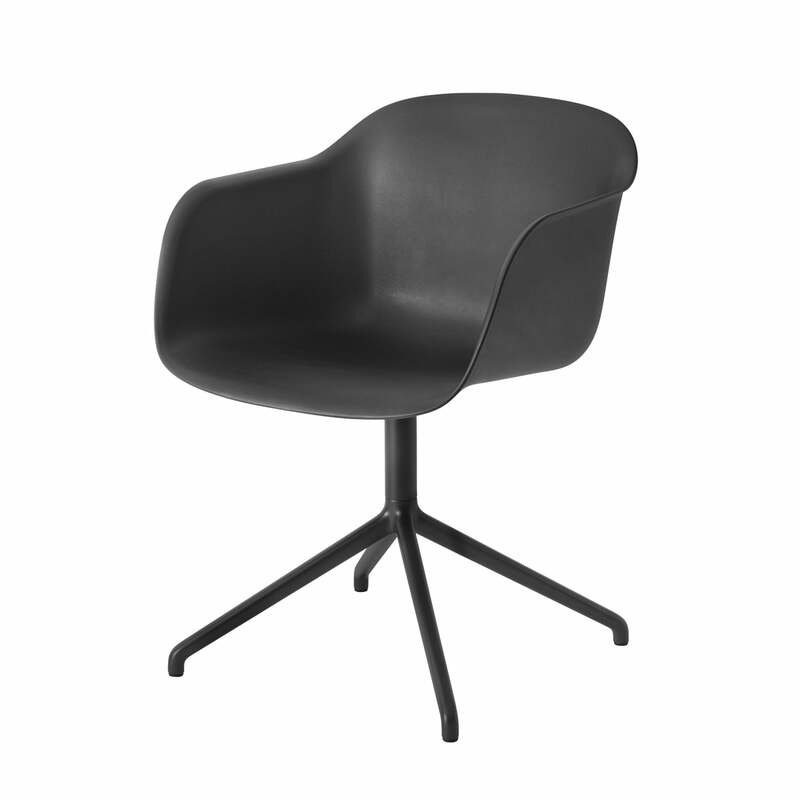 The classic style makes the Fiber Chair even suitable to be used in the dining room, near every table, in every auditorium and office. "One of the most difficult and noble disciplines is to design without eccentricity. To create simple, good working, nearly unusual objects that still offer an own identity" , explained the team of designers of Iskos-Berlin, which comes from Copenhagen. 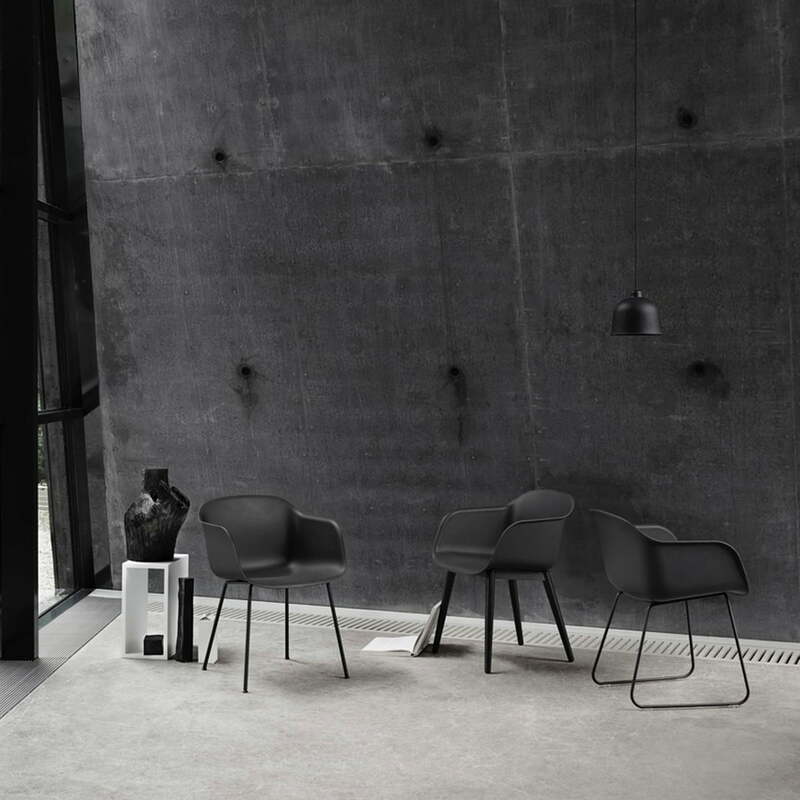 "We designed the Fiber Chair in order to reach exactly what we just said with clear sculptural language, which doesn't compromise regarding comfort. The hair was freed from all the unnecessary elements of in-between. Perfectly made to feel comfortable in it. 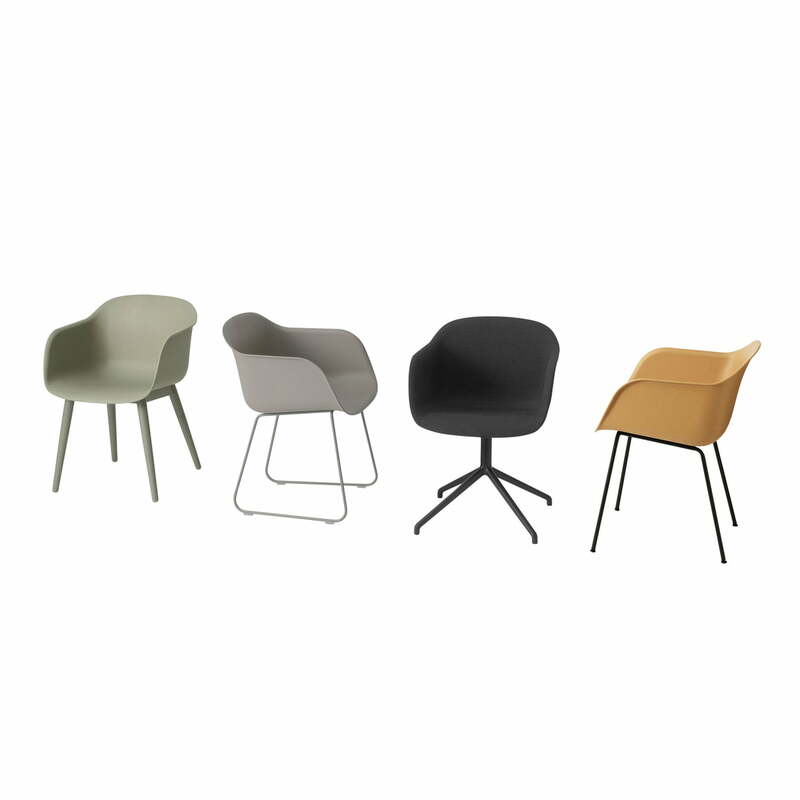 This kind of culture results in a soft composition, the inviting curves meet environmentally-friendly wooden fiber mixtures, which is an unmistakably characteristic of the Muuto Fiber Chair, which can be felt and which even makes it 100% recyclable." 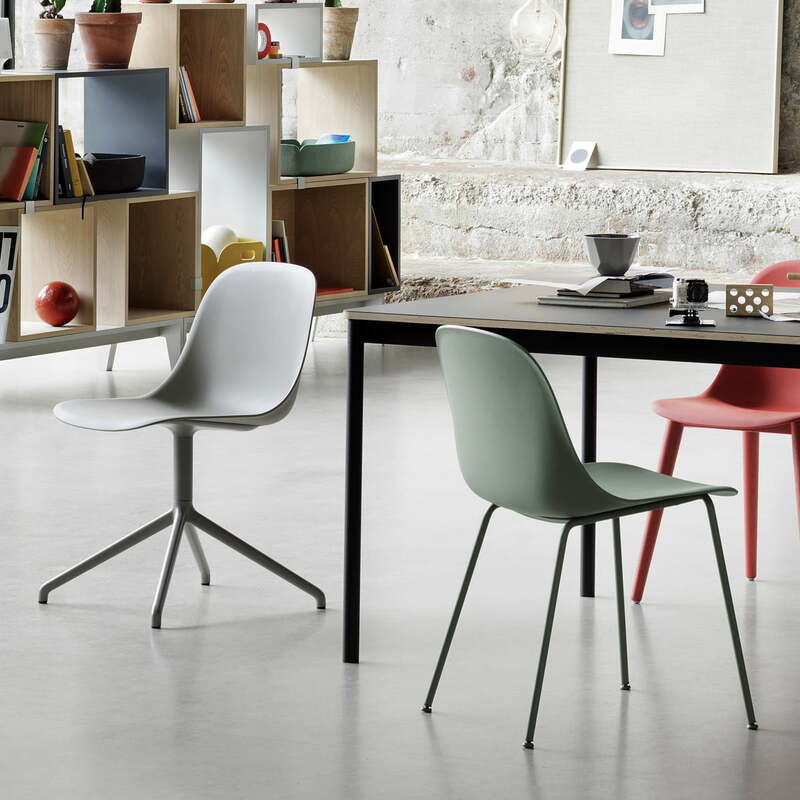 The seat of the design chair from Muuto is made of 25% wooden fiber and 75% recyclable polypropylene. The frame of the Fiber Chair Swivel Base is made of casted aluminium. 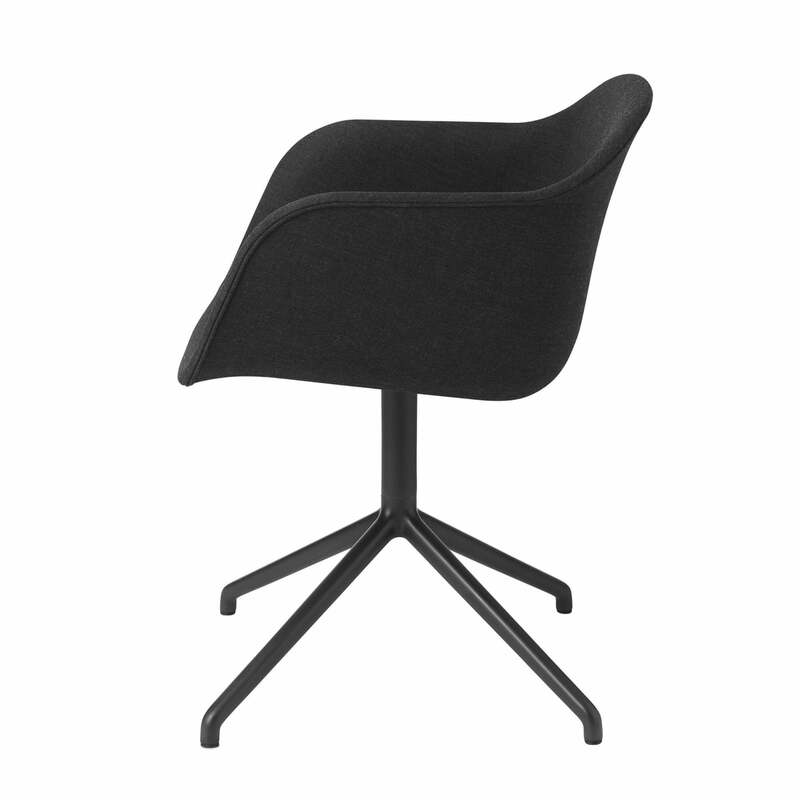 The Muuto Fiber Chair is also available as Fiber Chair - Wood Base and as Fiber Chair - Tube Base. Numerous further colour and fabric options are also available on demand.